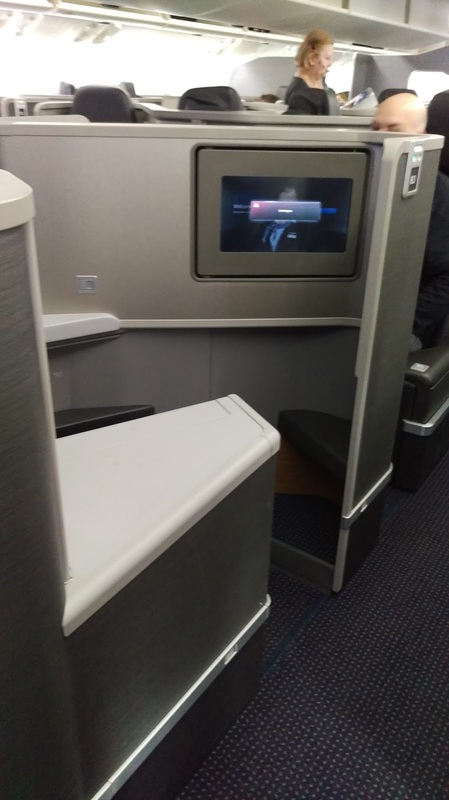 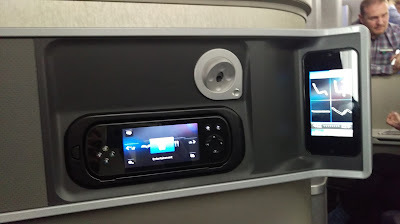 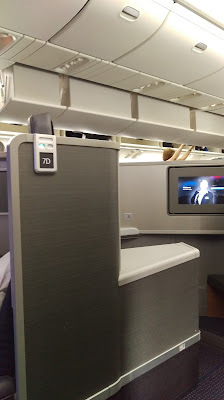 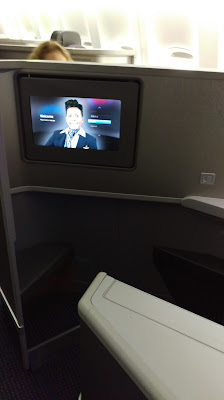 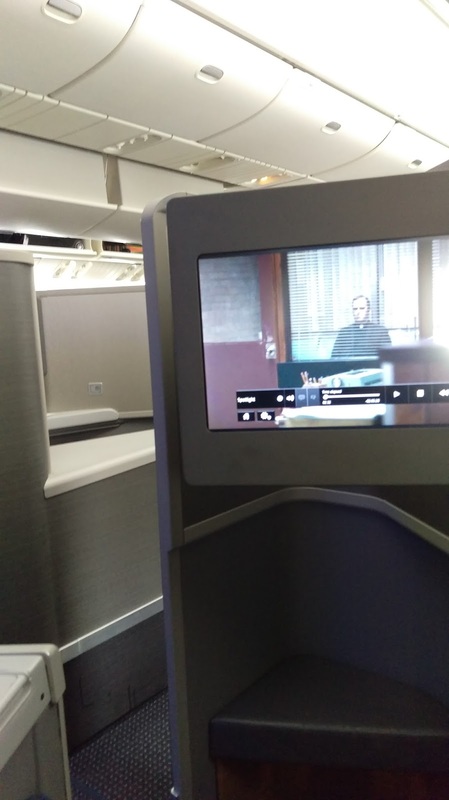 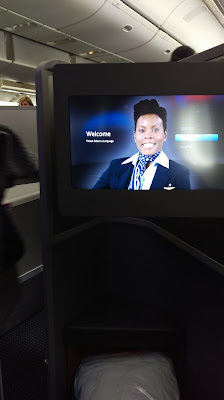 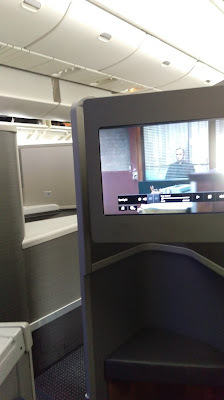 Finally getting to fly the reconfigured American Airlines 772. 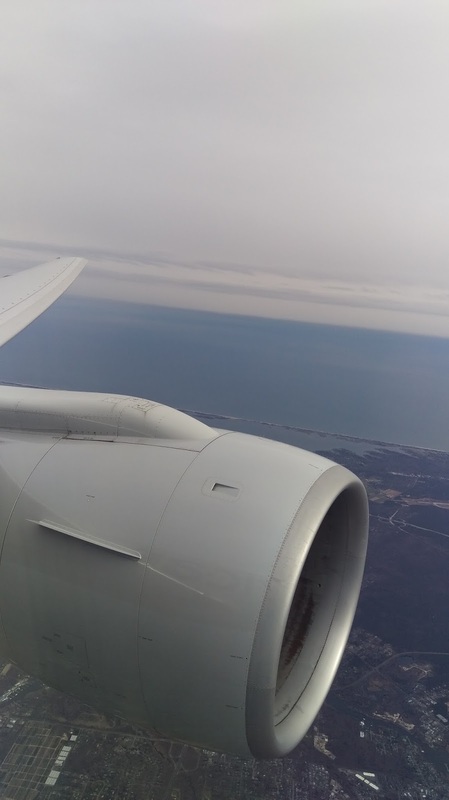 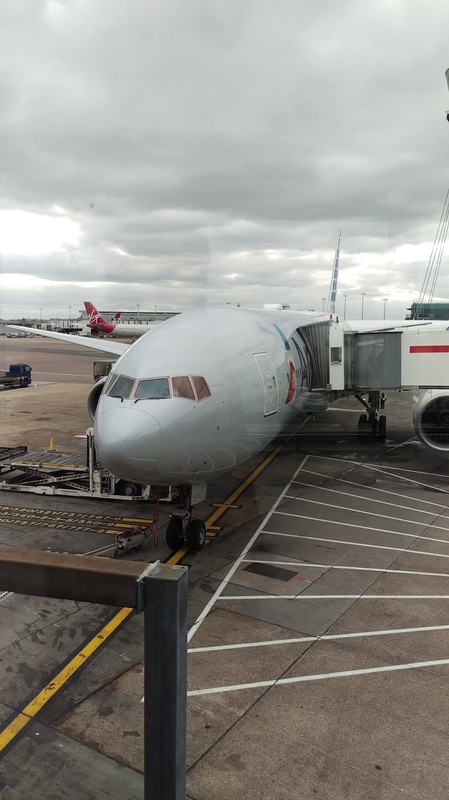 After two false starts the travel gods allowed me to fly the reconfigured AA 772. 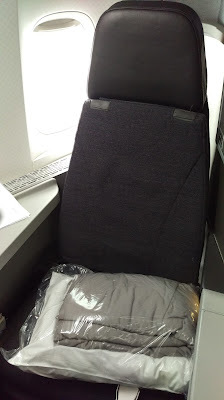 Sadly I picked seat 7A that only has one window, but I really liked the product. 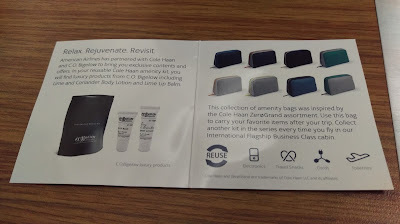 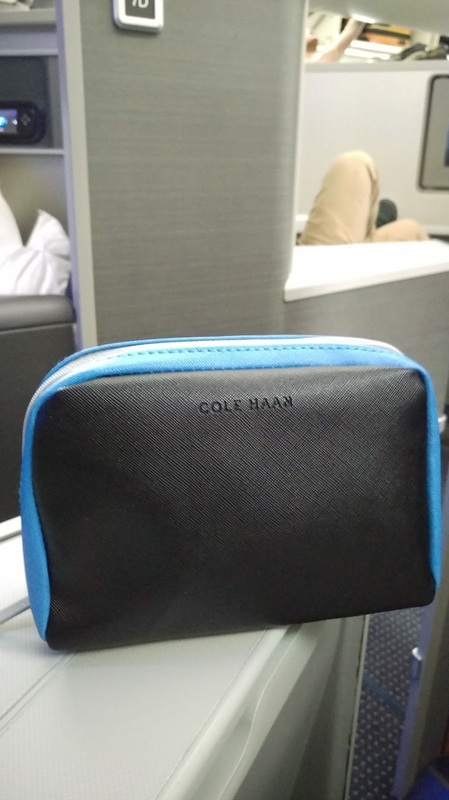 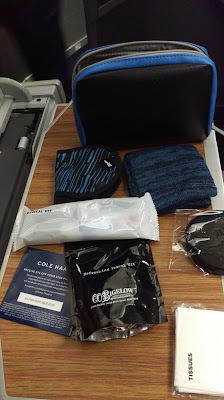 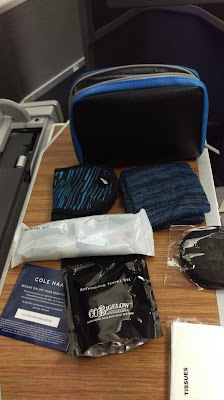 The new Cole Hann amenity kits were waiting in each seat and look really nice. 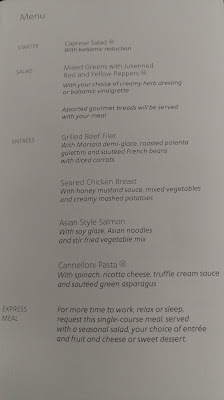 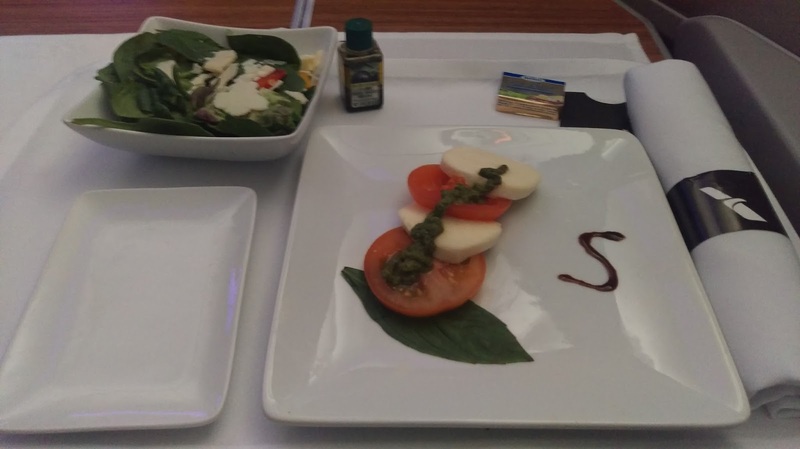 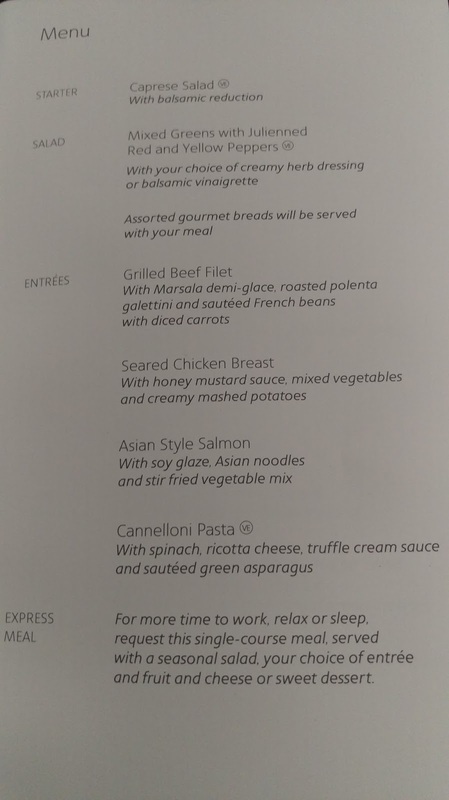 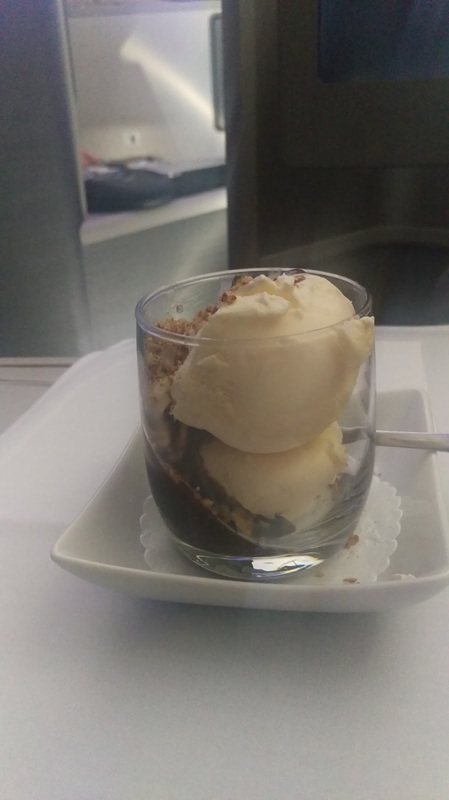 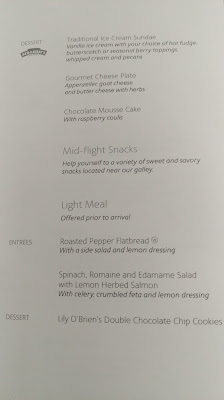 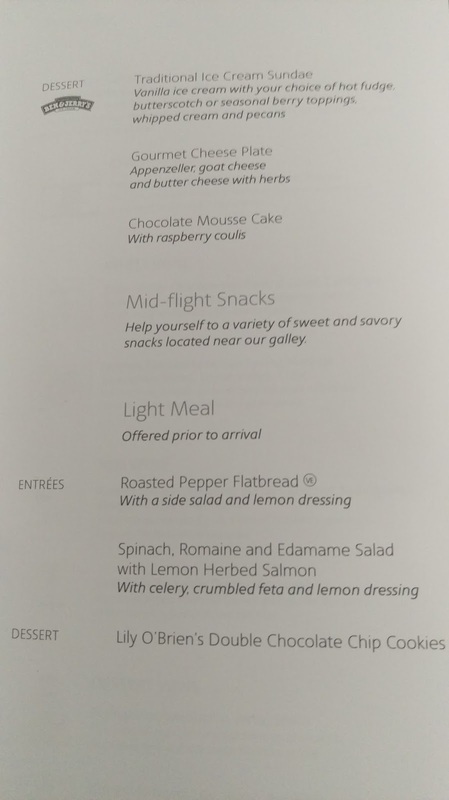 Menus were distributed before takeoff and my pre-booked meal was acknowledged! 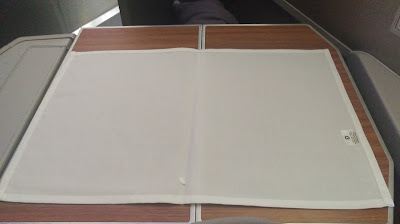 Such a product failure, not willing to spend a few more pennies on a proper size napkin ruins the feel of a superb Business Class product! 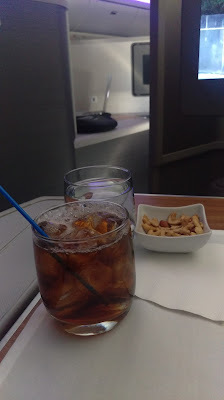 Started off with my usual Jack Daniels and Coke Zero! 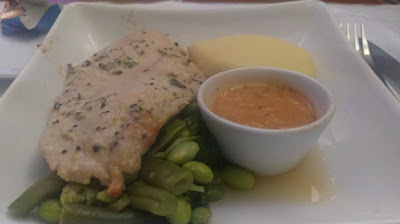 Seared Chicken Breast with honey mustard sauce, mixed veggies and mashed potatoes. 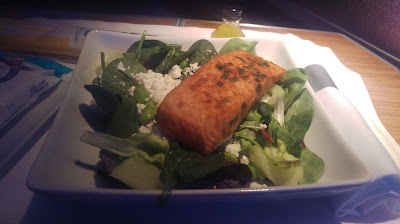 Caught up with a few Oscar nominated movies while flying across the pond and then chose the Salmon salad as my Pre-arrival snack which was a delicious salmon salad that actually included celery, not my favorite vegetable but an interesting choice. 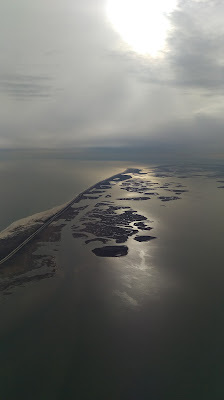 Landing was smooth and then it was time to head back to my apartment for a few days.